Woah, you guys! I just made this and couldn’t wait to share it. I didn’t really have a plan for dessert for our guests, so I just made this up as I went along. It’s gluten free/grain free and it’s delicious! Sorry, no fancy pics today. This couldn’t wait for a photo shoot. Mix all of these things together well, and spread into a lined tin or baking dish around 20cm x 20cm. It should be a batter like consistency. Press the pears into the pudding, so they are evenly distributed around. 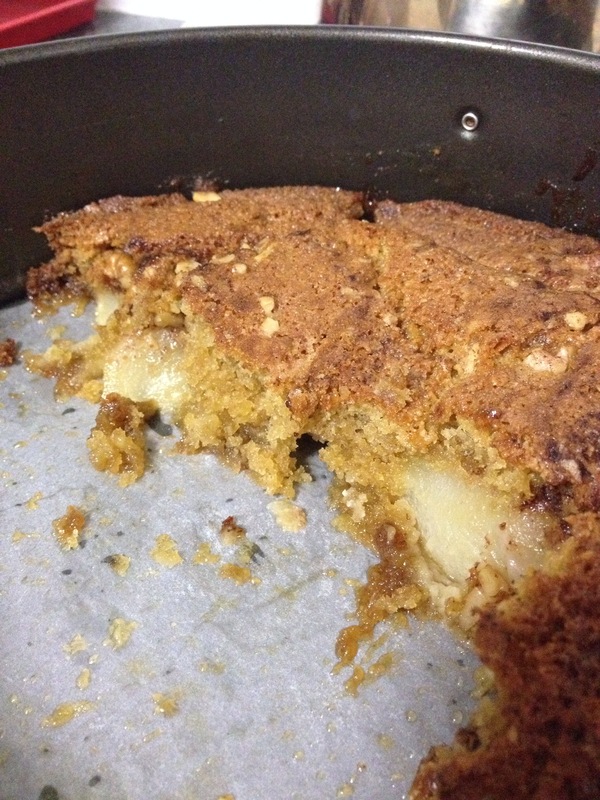 Throw a few dabs of butter around the top, sprinkle the brown sugar and walnuts and cinnamon all over. Now, bake this for about 25mins at 180degrees. You’re looking for it to be firm, the edges go all crunchy like and the middle is a soft and spongy pudding. 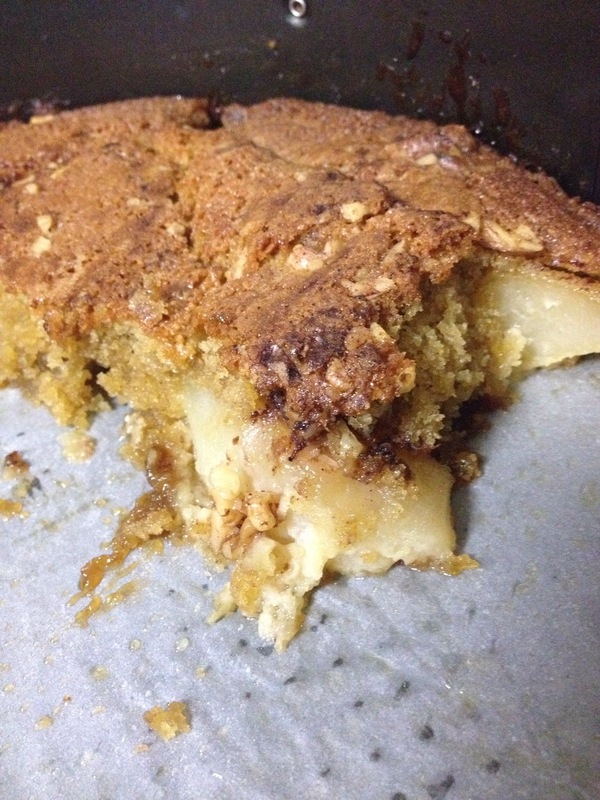 That butter and brown sugar on top makes it all caramelly….serve with cream or ice cream if you are so inclined. I truly hope you enjoy a big bowlful of this as I just have. NB You could experiment using a dairy free option like coconut oil, which would make it more paleoish. Let me know how that goes!